My kids and I love decorating easter eggs this time of year. 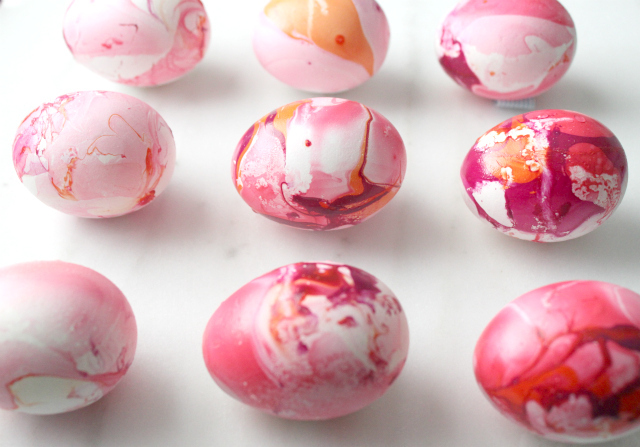 There are so many different ways to decorate and paint eggs! This is one of my favorite techniques that I shared last year, but I wanted to share it again with you. 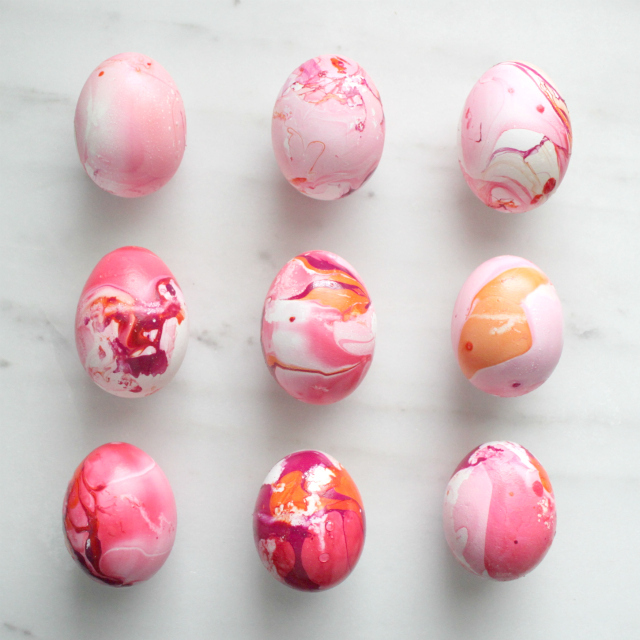 I love the marbling look to these eggs. It's so different than how eggs are normally painted. And you can really use any color combinations you want. 1. Fill a disposable bowl (bowl you would throw away afterward) about half way with water. 2. Add in a few drops of any kind of nail polish. 3. Gently stir the colors around-very slightly. So, I never knew this but it's so crazy that nail polish in water creates like a cellophane on the surface of the water, so if you stir too much you will pull all the color up on whatever it is you are stirring with. Or you could just shake the bowl back and forth a little and that mixes the colors well too. 4. Gently drop your hardboiled, plastic, or hallowed out egg in the water and roll it around a little and then pull it out and set on a paper towel to dry. 5. 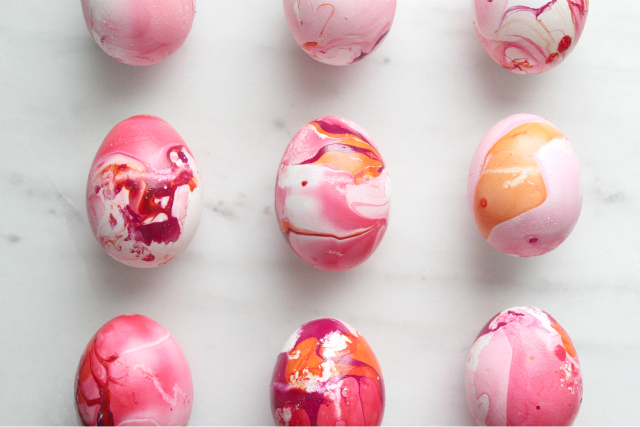 Use a tooth pick or stir stick to gather the leftover nail polish out of the water in between each egg. Add some more drops and repeat the process. It's so easy and I love that each egg is different.